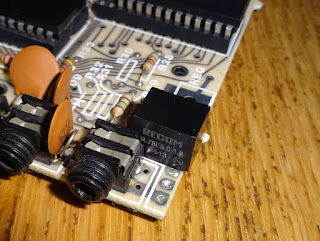 One of the things the Sinclair ZX81 and ZX Spectrums were known for was getting rather warm. If you (carefully) open one up, you'll see where the heat comes from. 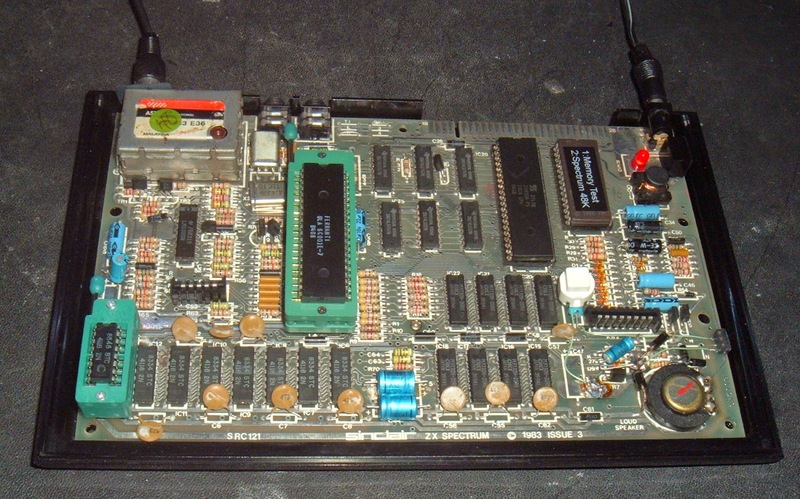 This is a Spectrum Plus, but it is the same board as used in the original rubber keyed ZX Spectrum. The big lump of metal at the top is the heatsink. 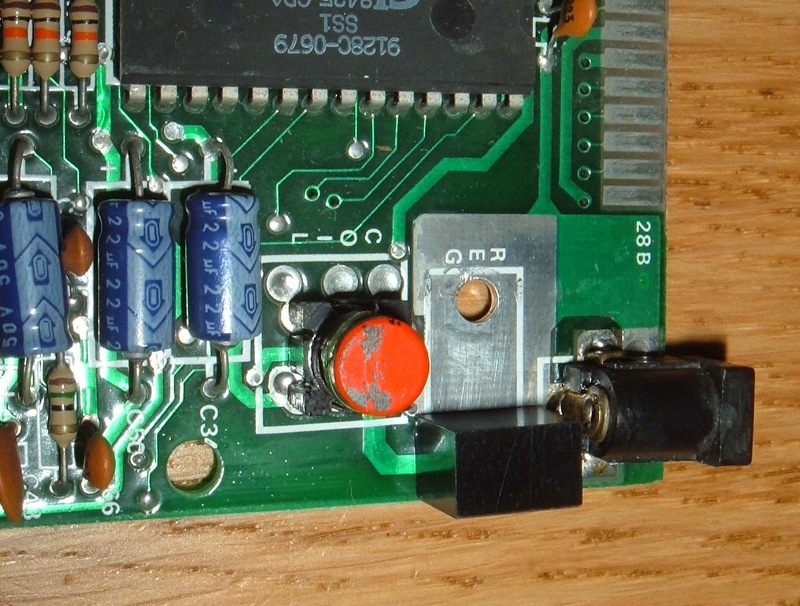 The original circuit uses a 7805 linear regulator. 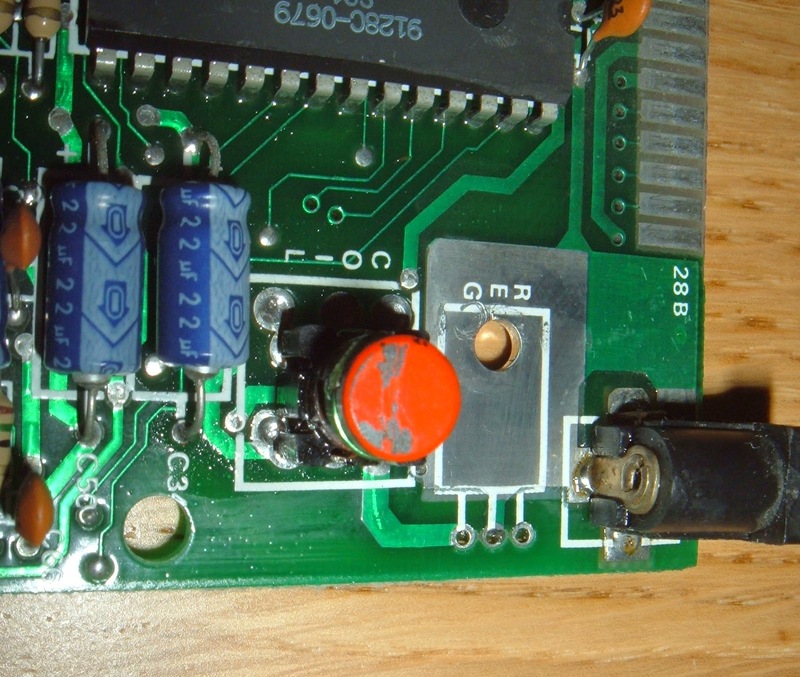 The input for the Spectrum is marked 9V, although most of the Sinclair supplies give around 12V output. The current used depends of the version of the ULA, the manufacturer of the RAM etc, but is around 650mA. 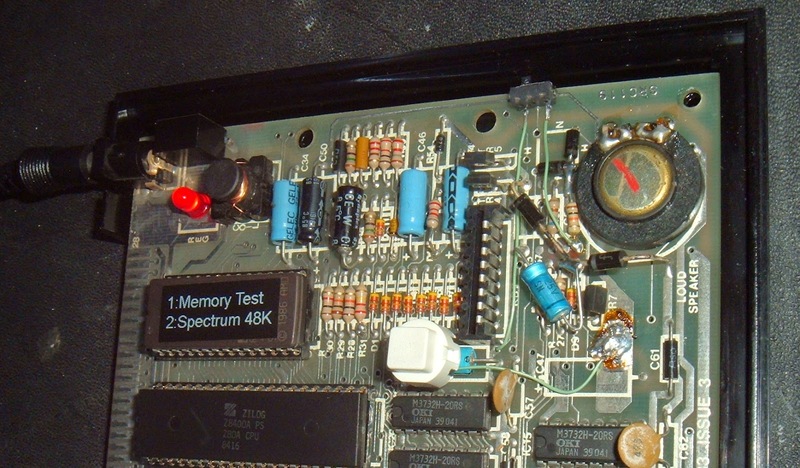 Original Spectrum's came with UK700 model supplies (700mA), later ones with UK1400, 1.4A supplies. The regulator is rated 1A, and generated 5V used by the chips on board. 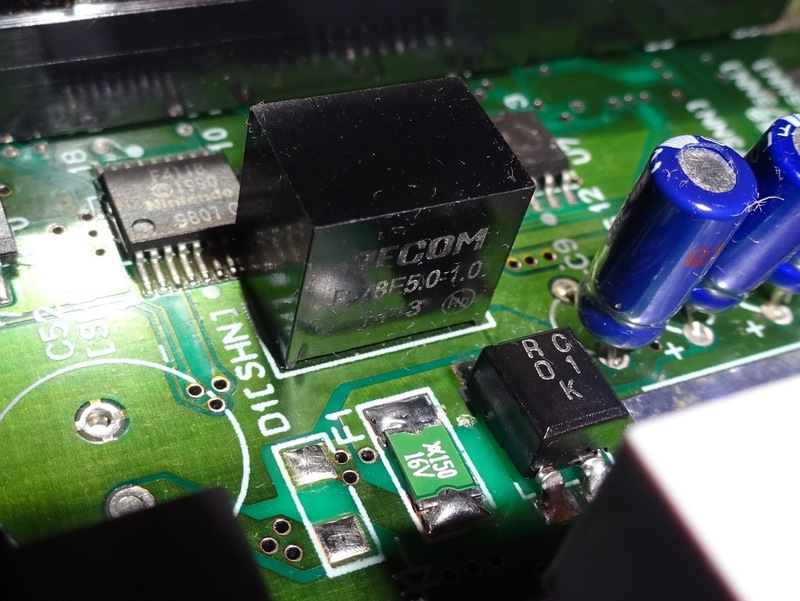 The -5V and +12V used by the RAM and video circuits are also derived from the input supply. This is a purely linear shunt regulator, so 5V at 1A is used by the board and eventually converted to heat by the chips (usually the ULA gets the hottest unless something is wrong). The rest, up to 7V and 1A is converted to heat in the regulator, so there could be 7W of heat dissipated by the heat sink, hence why these things get hot. This works out about 40% efficient. 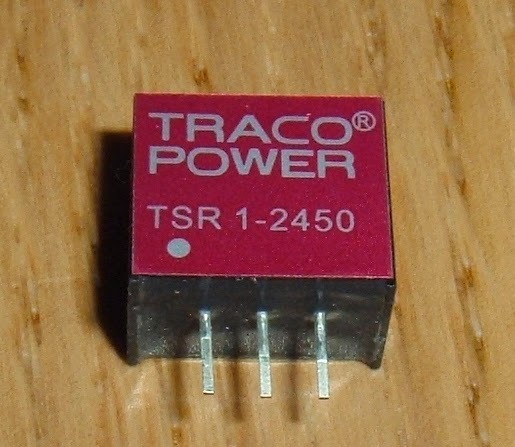 This is a Traco Power TSR 1-2450 switch mode replacement for a 7805. It takes in the DC in and generates 5V DC out using a switch mode power supply design. This is around 90% efficient, and so generates little heat. It also puts less strain on the power supply unit as it draws around half the power of the original for the same output. (7805, 12V @1A to get 5V @ 1A, TSR1-2450, 12V @ 400mA to get 5V @ 1A). The same Spectrum that used about 650mA dropped to 400mA with the new regulator. 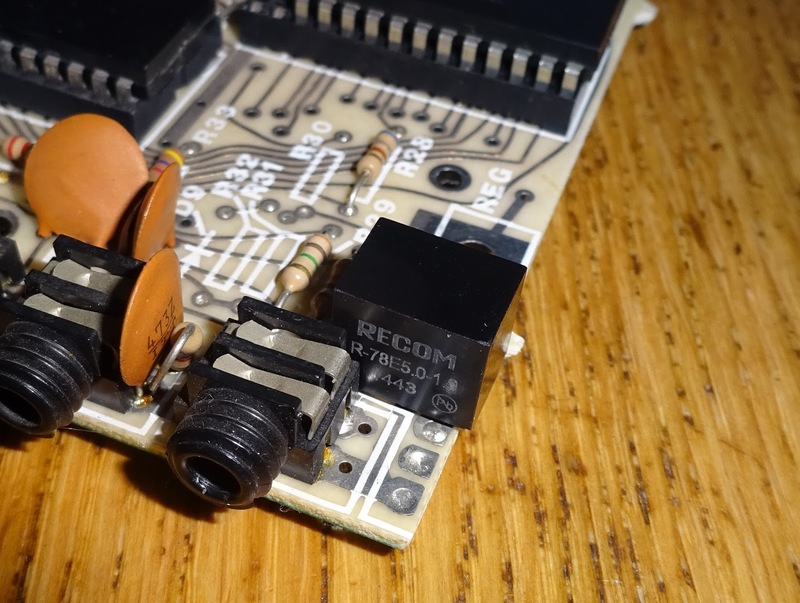 These modules are drop in replacements, so just remove the 7805 and metalwork, and install the switch mode unit. You now have a much cooler running Spectrum. Usually a good idea at this point to reflow the solder on the DC jack as they can start to become dry joints over time. Even replaced the jack if the connector is tarnished or worn looking. The same approach can be used on many other devices of that era which use linear regulators and big heatsinks. The ZX81 and Spectrums, the Atari 2600, the NES, most of the Commodore computers etc. I use one on my Spectrum test rig as removing the heatsink also gives easier access to the chips behind. Since this was used without a lid, I used the hole where the heatsink had been bolted to add a power LED.